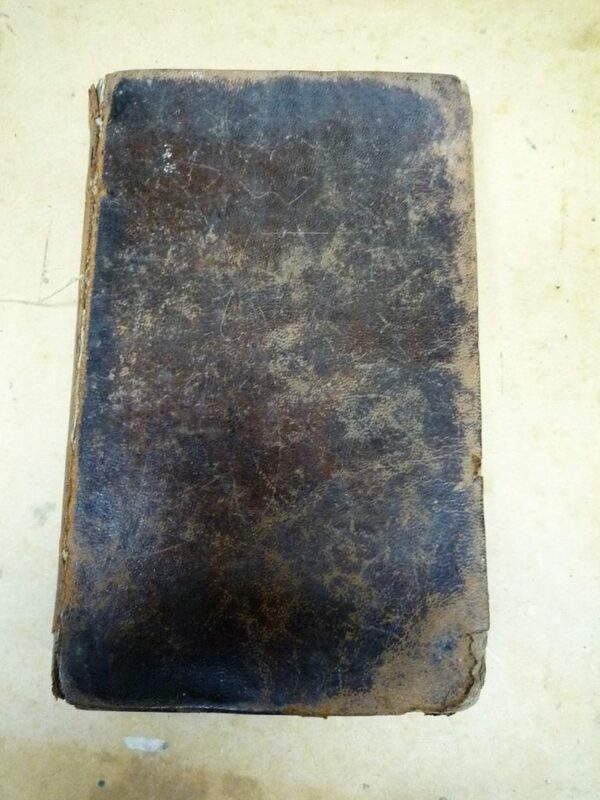 Although the textblock of this book was more or less intact, the boards were very worn and decaying. 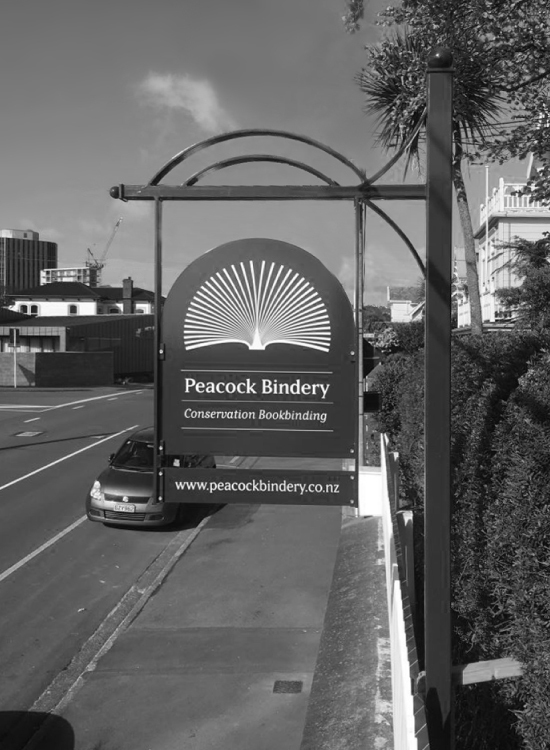 A decision was made to rebind the book with new boards and new leather. 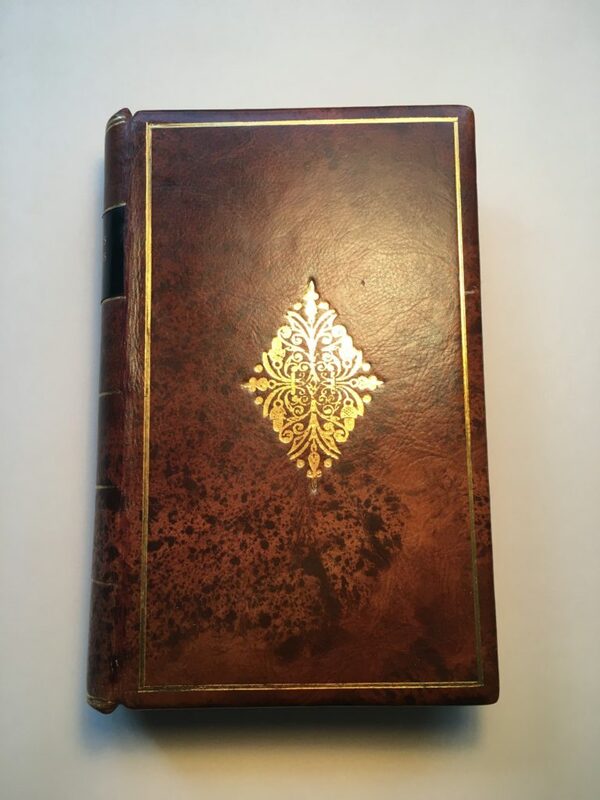 The book was disbound; paper repairs made; book then sewn on tapes and bound in marbled calf leather; appropriate marble paper was used for endpapers and finally gold tooling applied to front and back boards, and spine. Pilgrim’s Progress: original front board. 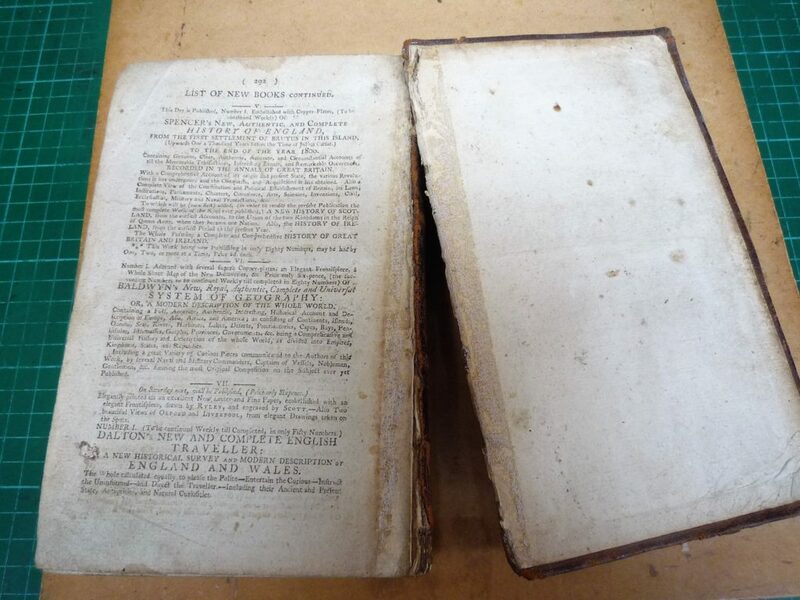 Pilgrim’s Progress: before repair – front board almost detached. 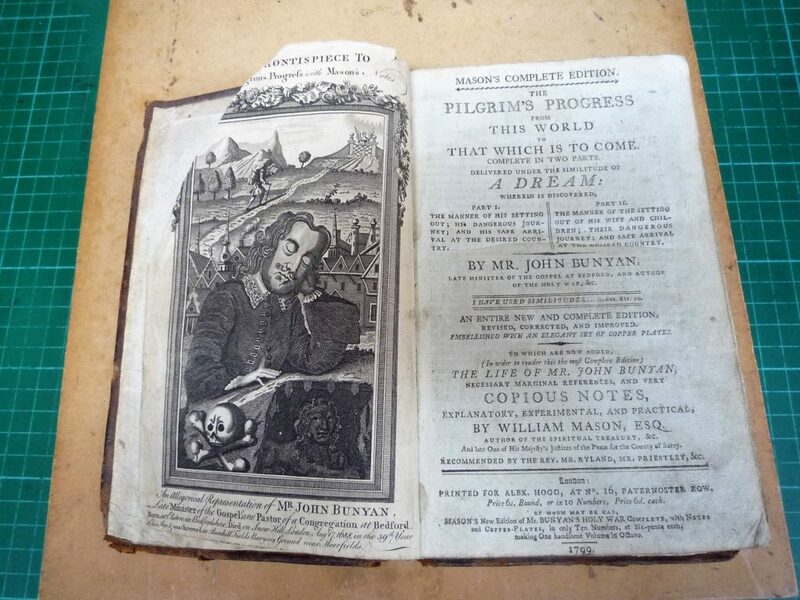 Pilgrim’s Progress: frontispiece and title page. 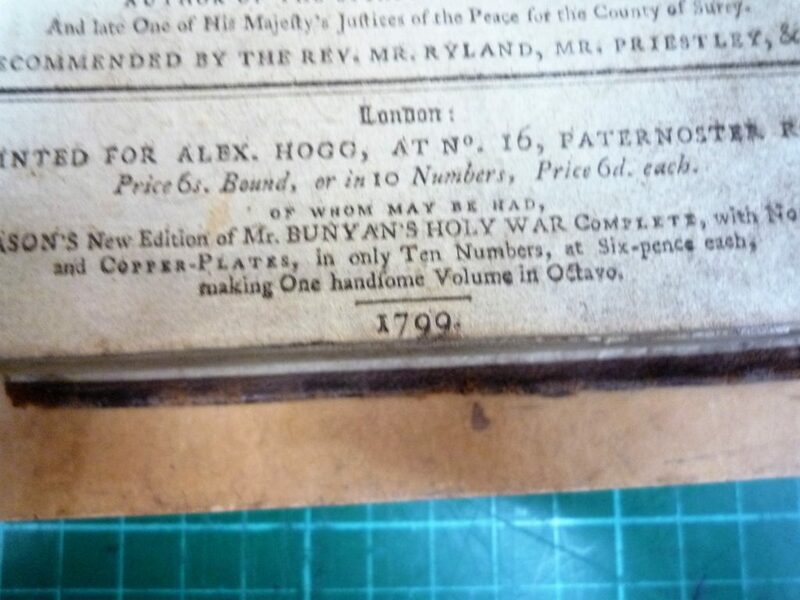 Note large loss of paper to top corner of frontispiece. 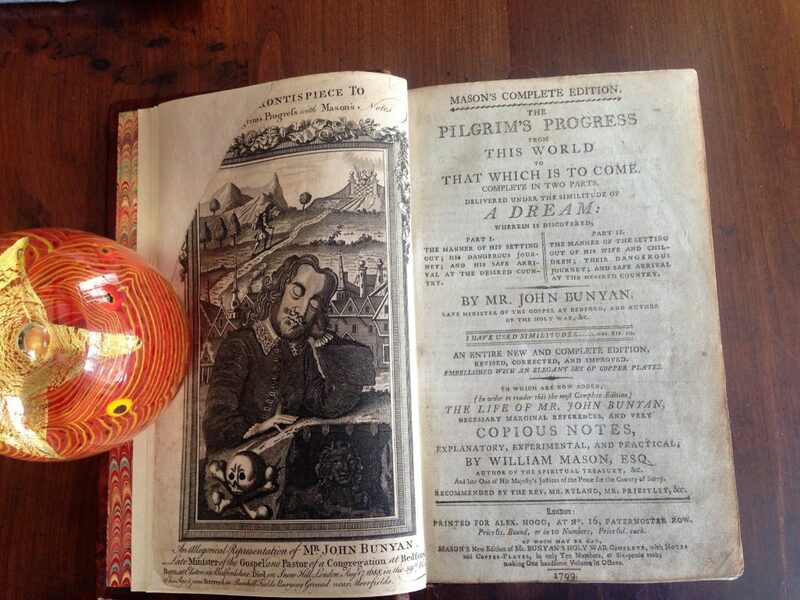 Pilgrim’s Progress: disbound sections. 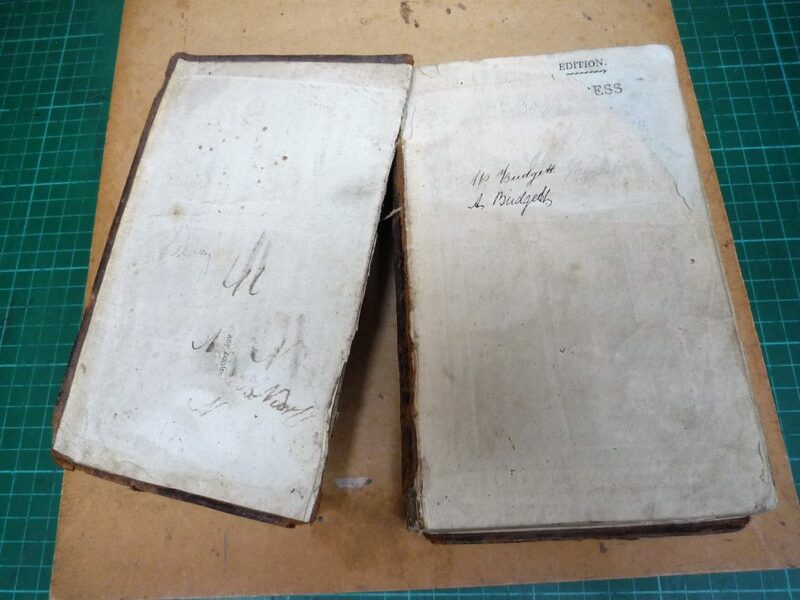 Fragments of leather are attached to the outer folds of the sections. Pilgrim’s Progress: back board almost detached. 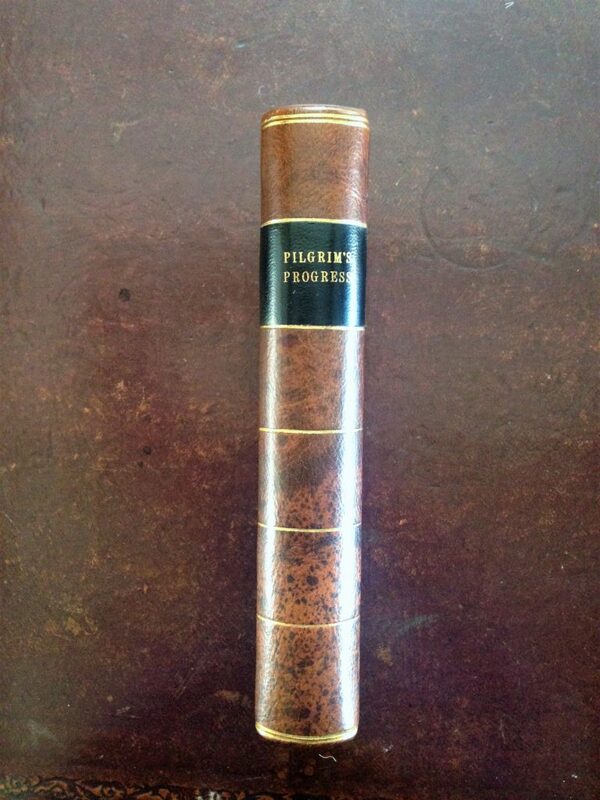 Pilgrim’s Progress: printed in 1799. 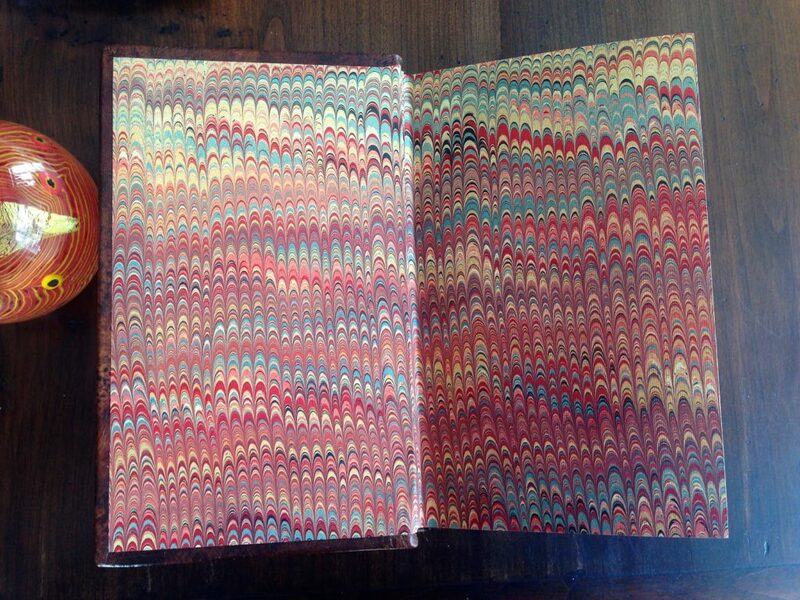 Pilgrim’s Progress: after rebinding – new marbled pastedown and flyleaf. 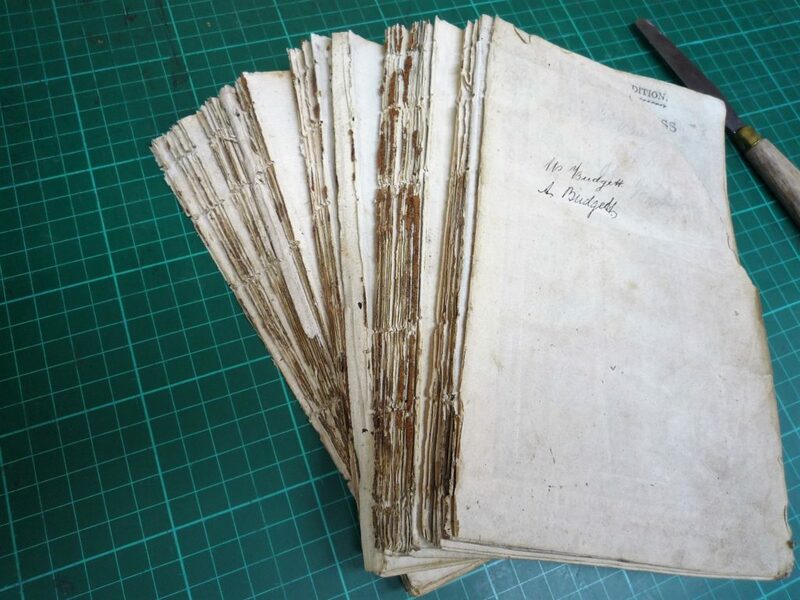 Pilgrim’s Progress: the loss to the frontispiece has been filled with a careful paper repair. 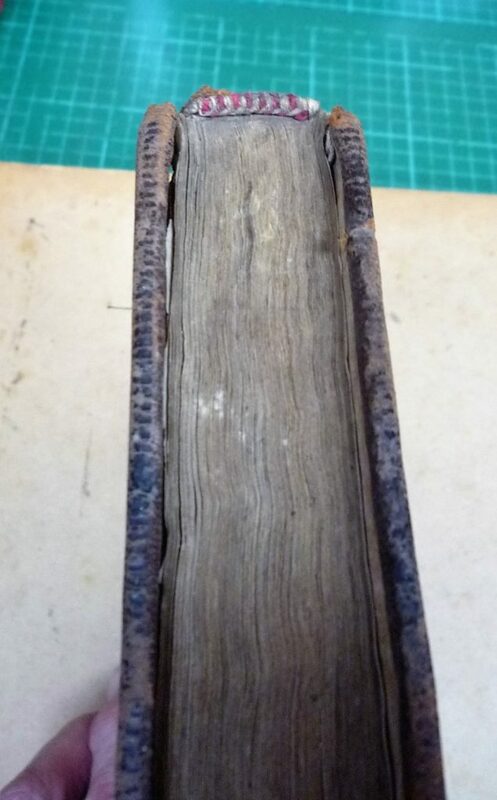 Pilgrim’s Progress: spine of rebound book.